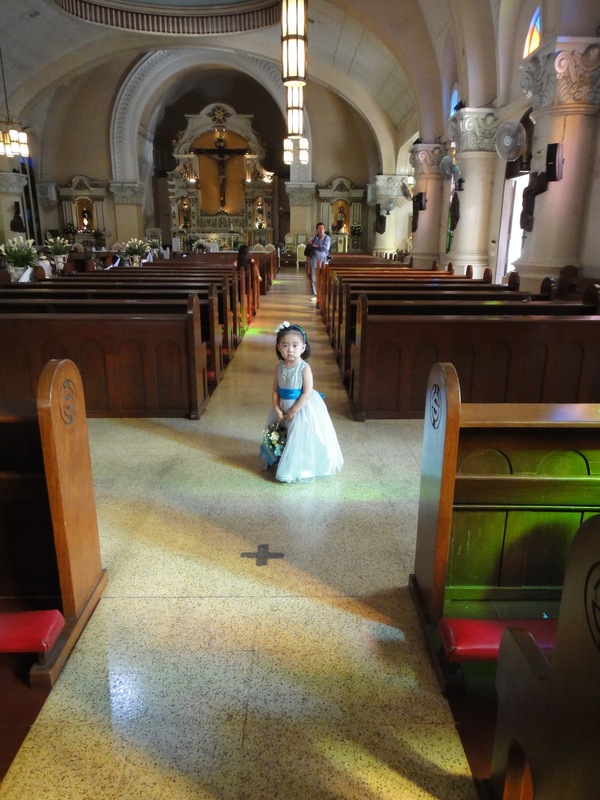 Iya was chosen to walk down the aisle, as a flower girl of course, last Saturday. It was for the wedding of our family friend Kuya Vernon with his lovely wife Liezl. I was a little nervous because I’m not sure if she will walk down the aisle by herself, or worse, would not walk at all. I now know how other mothers feel before the wedding. That’s one of the reasons why I chose older girls (about 5 or 6) as my flower girls to lessen the stress. Although I must admit that three is really a cute age for an empire cut floor length gown. 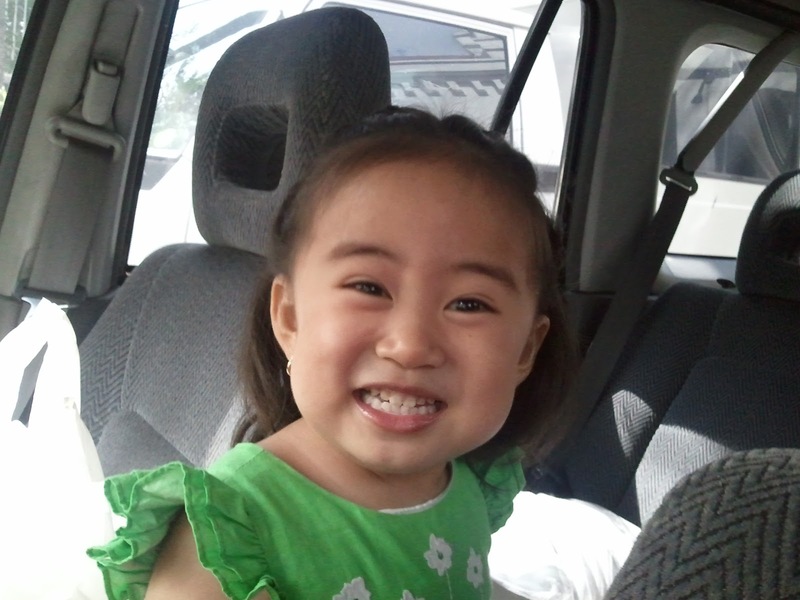 We were a little early so we stayed in the car to read, play with the gown box, apply lip gloss. Before dressing up we explored the complex and saw a pond with three turtles which she fed crackers. 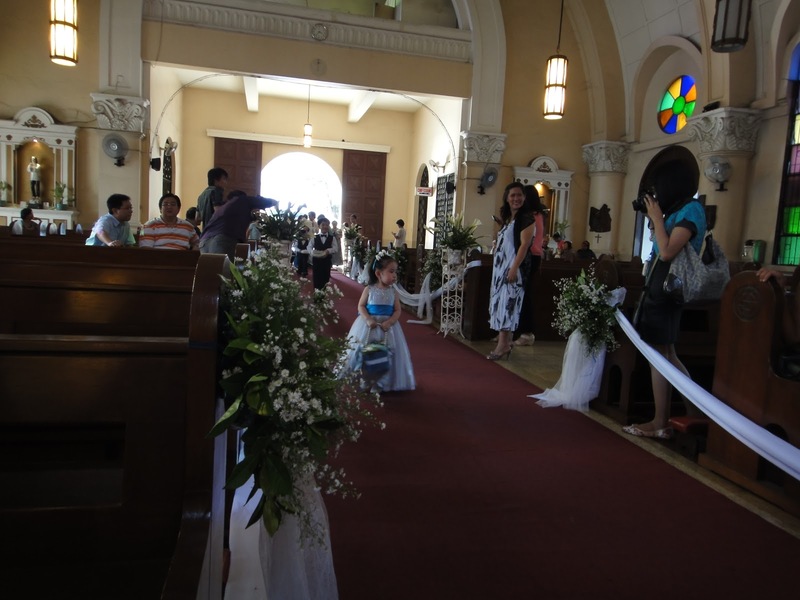 I took pictures while she was testing her walking skills with the flower basket before the ceremony. The flower basket was heavy with long ribbons at the side so she needs to hold it with both hands. We lined up after a few minutes. When it was her turn, she walked halfway, paused to have her picture taken, then allowed the other children to walk right past her. With a little urging from me, she walked all the way to the altar.. Whew! finally finished. I let her play with her flowers during the mass to keep her occupied. 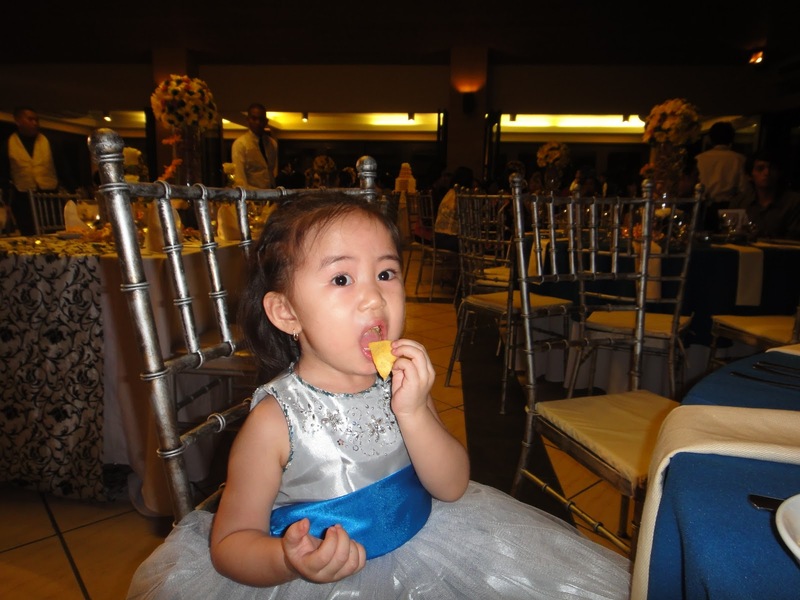 Munching on chips at the reception. I was busy feeding her to get good shots. The time spent during the reception went smoothly enough. She wanted to eat the salad by herself and I let her for the first few minutes. After the last few uncoordinated attempts, I just gave up and let her play with the ipad while I spent a hassle-free feeding. 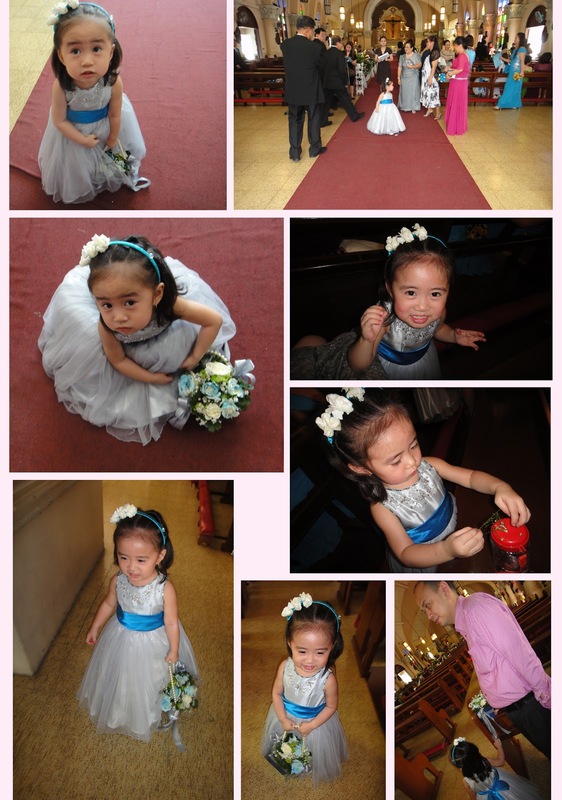 I can now safely say that her responsibility as a flower girl was a success (parang exam? ).